Real Housewives of Beverly Hills Lisa Rinna has made it her mission in life to bring down Lisa Vanderpump. Even though this season just started, Lisa “The Whiner” Rinna has already been stirring the pot. Well, if you were sick and tired of puppygate Lisa has come up with an entirely new topic to be super annoying about. Of course, it still involves LVP because you can’t have a super hero without also having a villain. I’ll let you decide who is who. Real Housewives Of Beverly Hills Returns February 9- Check Out The Trailer! After a long wait and tons of speculation, we finally have a trailer for Real Housewives of Beverly Hills. The ladies return with new episodes February 9 and it seems like we have a lot of drama to look forward to. Denise Richards joins the cast. Kim Richards makes at least one appearance. And get ready for this one: Brandi Glanville returns. Now that is a twist that no one saw coming. We just need to get a diamond back in her hands. Speaking of diamonds, Camille Grammer will not hold one during the opening credits. This is because she is not a full-time cast member. Again. This makes no sense. She gets married, watches her house burn down, and gets into drama with her costars. That warrants full-time status in my eyes. It seems like Lisa Vanderpump has everything in the world. I mean, the woman stars in not one, but two Bravo reality TV shows. She has a great family, reality TV stardom, and plenty of money to spend on herself and her favorite philanthropic causes. However, there’s one thing that she will never have. It’s not something she “can’t” have, but she just something she does not want. 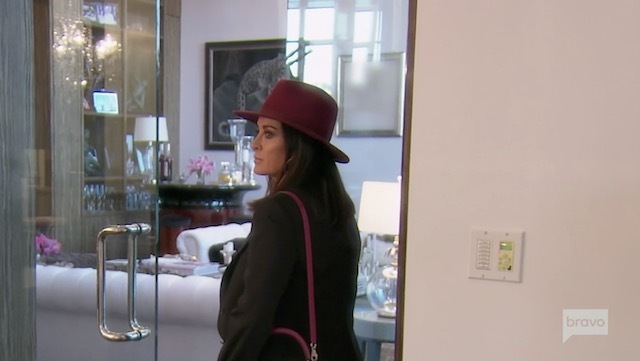 Believe it or not, LVP refuses to get a credit card. 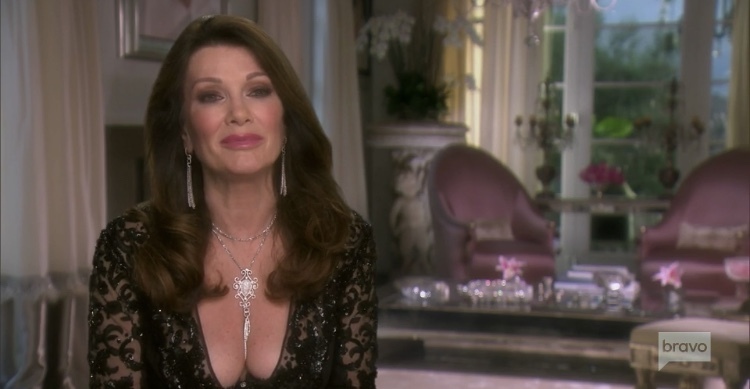 After a tough season last year, Lisa Vanderpump definitely turned things around this time. Well, either that, or Lisa Rinna just screwed up enough to take away from what everyone else was doing. 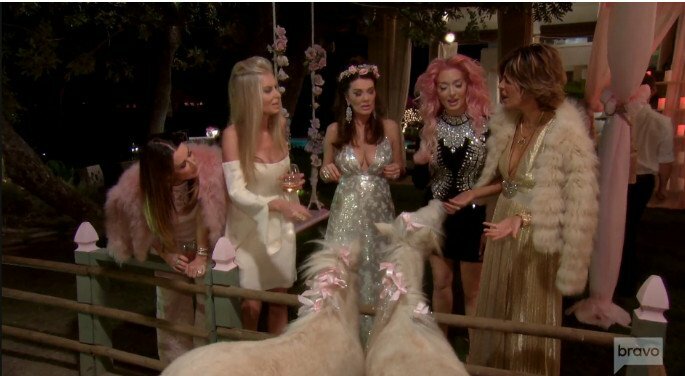 But let’s be real, that party Vanderpump threw for the finale was immaculate and she definitely reclaimed her throne by the end of Real Housewives of Beverly Hills season 7. Still, Lisa Vanderpump couldn’t resist shading Lisa Rinna and supporting her loyal soldier Dorit Kemsley before the season officially comes to a halt. Does Lisa Rinna have something on Eileen Davidson. I get that they’ve been friends for years and know each other from the soap opera life, but Eileen is just so loyal to Rinna. There is definitely something to be admired there (kind of), but at the same time, I’m so confused. 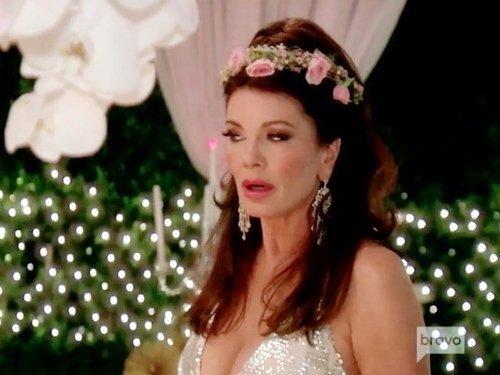 Other than the blind loyalty to Rinna and dragging out that whole “affair” thing with Lisa Vanderpump, Eileen is the most level-headed person in the Real Housewives of Beverly Hills cast. So I just don’t get how she can stick by Rinna after her crusade against Kim Richards. There is no chance that Rinna actually “forgot” that she said “Kim was close to death.” I have no idea how Eileen has been defending this all season – even after watching the episodes.